Feeling exhausted, irritated, unhappy, and lacking in control are all signs of burnout—a temporary decline in an employee’s well-being. Where possible, lower the standards and relax the deadlines. Encourage less perfection. 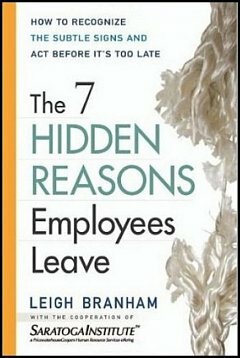 Employee stress and problems at work that are not dealt with effectively can quickly spill out into other parts of an employee’s life. In fact, many marriages go bad when stress at work is at its worst: people use up all their willpower on the job; their home lives suffer because they give much to their work. Make employee welfare a key area of focus to promote better work environments and keep employees engaged. 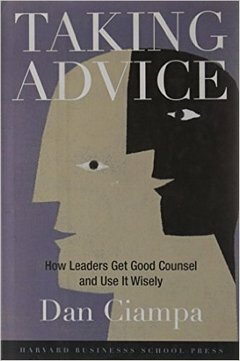 According to Coaching, Mentoring and Managing: Breakthrough Strategies to Solve Performance Problems and Build Winning Teams (1996) by William Hendricks, et al., some managers instinctively do things that thwart their team’s performance. 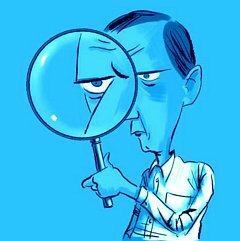 Examine if you’re guilty of one or more of the following. Do you tend to exaggerate situations or behavior? Your tendency to color an employee’s behavior using qualifiers such as “always,” “never,” and “everyone” could be dragging him down. Generalizations could crush the employee’s sense of self-esteem. If you want to create positive change, instill pride, not shame. Do you sometimes assume that your employee knows a problem and the solution? It’s possible that the employee may not recognize the problem. Skillfully use lines of questioning that can help the employee drill down into the details and reveal a higher-level issue. Do you often fail to follow up? If you don’t follow up on directions or performance expectations, you will inevitably find yourself reacting to unpleasant surprises. Do you not reward improved behavior? If you don’t reward positive changes in behavior, you will not expand behavioral adjustments to permanent performance improvement. 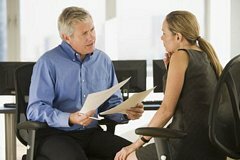 Managerial feedback and coaching is all about reinforcing positive behaviors and encouraging corrections to damaging behavior. Self-Assessment Quiz: Are You A Difficult Boss? The difference between functional and dysfunctional teams often boils down to effective team leadership. If you’ve been asked to lead a team, you’ll get more from your team members if you know what’s expected of the team, and manage your roles and responsibilities. Define the charter. Find out what your customers want. Find out how much latitude your team has—decision-making, reporting procedure, access to resources and information. Make sure there’s organizational support for these matters. Build on strengths. If team members are selected for you, determine what each person can contribute to the team’s effort. Ask members to identify their strengths. Set ground rules. Discuss how the team will operate. Be clear about performance expectations. If necessary, write down the rules agreed upon by team members. Develop a mission and goals. Get your team talking about what needs to get done, by whom, and when. 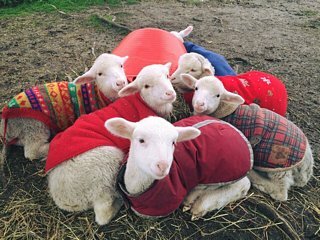 “Herd the sheep.” Part of your job is to be a sheepdog. Keep people together and herd them toward goals. Break up conflicts. Disagreements are fine, even healthy, but outright hostility or anger is counterproductive. Stop the discussion, clarify positions, and try to find areas of agreement. Avoid groupthink. Don’t compromise too much for the sake of consensus, harmony, and “esprit de corps.” Don’t settle on the lowest-common-denominator decision upon which everybody agrees. Build bridges. Keep your sponsor, your manager, and each team member’s boss informed of the progress of the team’s assignment. Be visible. Any crisis calls for constant, candid communication. Knowing how to step up your communications efforts to the right levels during confusion is a powerful tool in managing a crisis. Captain the ship. You’re responsible for your team’s every outcome—good or bad. You are wholly accountable for everything that happens under your authority. Never pass the blame should things go wrong. Make the work fun. Give your team lots of recognition. Celebrate the team’s accomplishments. Establish freedom and autonomy. Empower team members to innovate and make decisions. Encourage all ideas and make sure that they are respected, no matter how strange they may sound. Micromanage only when you must. Assess performance. Periodically, ask the team to rate its performance. Resolve any problems as quickly as possible. Get stuff done. Don’t lose sight of your goals and your mission. The only thing that matters is the relevant results. As you climb the career ladder, you will find yourself working increasingly with many other powerful leaders—both inside and outside your organization—who hold the key to your success. Often, you may share responsibility and control with a variety of leaders over whom you may lack authority and influence. 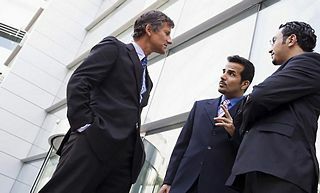 Compared to others you’ve worked with in the past, many of these leaders will be more talented, ambitious, competitive, accomplished, assertive, controlling, and ego-centric. To do this, you must determine the interests of those you wish to lead and then make it loud and clear to them that you are indeed serving their interests. This requires meticulous listening, reframing of your objectives in terms of their interests, and respecting their authority and autonomy. Salacuse breaks the challenge down into “seven daily tasks,” each of which takes a chapter in Leading Leaders. 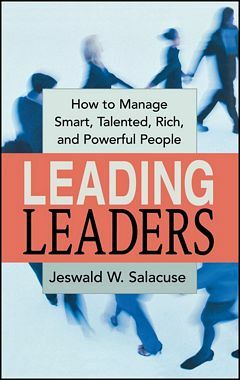 Recommendation: Read Jeswald W. Salacuse’s Leading Leaders. 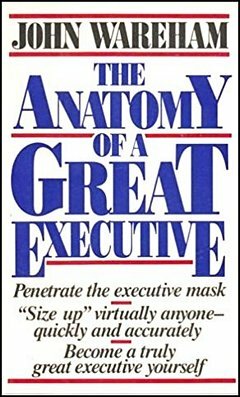 This excellent book’s insights make a great template for the basics of executive leadership. You can especially learn how to gain persuasive skills in situations where you may not have much influence. Beyond the academic pedantry (the author is a professor of law, diplomacy, and negotiation,) the abundant examples from political leadership are far more multifaceted than the narratives in Leading Leaders tend to imply, but they serve as good cases in point. 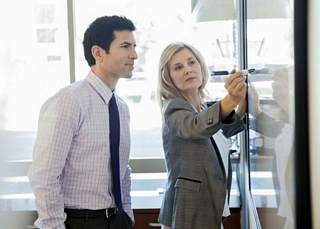 Understanding others’ deep-held motivations involves recognizing what drives them, why and how they want to work, work styles they may adopt in various circumstances, and what levers you have to motivate them. Take for example Abraham Maslow’s Hierarchy of Needs, a motivation hypothesis used widely for several decades now. Represented as a pyramid, this hypothesis proposes that people are motivated to fulfill basic subconscious desires such as food and shelter before trying to fulfill higher-level needs such as affection and prestige. Even though academics have extensively debated its specifics, Maslow’s Hierarchy of Needs has provided a handy framework to value the multifaceted composition of human motivation and to understand how to engage others. One less-known framework for understanding the provenance of people’s life goals—their deep-seated aspirations for want to achieve in life—is the “Psychic Contract” hypothesis, a concept that dominates The Anatomy of a Great Executive (1991) by John Wareham, a leadership psychologist from New Zealand. As we grow we absorb the values of our parents, and are conditioned to improve (albeit marginally) upon their achievements. We strike a psychic contract with them whereby “success” in life is defined by the attainment of a similar social positioning, which we later embark upon attaining, sometimes very consciously, but often entirely unconsciously. Throughout our lives, we unintentionally adhere to our psychic contracts, despite the limitations they place on us. We use our psychic contracts to not only define and approach our life goals but also think about how we measure success. We consciously measure success in terms of milestones and standards instilled by our parents. As a rule of thumb, about three quarters or more of people in westernized culture seek first to equal, then marginally to improve upon the lifestyle or status level perceived to exist in the childhood home. Our psychic contract is based on our birth order, our parents’ birth order, and roles we play relative to our parents in our families. The so-called “prime parental injunction” sits at the heart of our conscious. We go through our lives trying to become the people our parents wanted us to be. Even people who spend their lives trying to become exactly the opposite of what their parents wished are still influenced by this injunction. Every person has a pre-programmed financial comfort level. Most of us strive to reach this level; but once there, we slow down—not because we are lazy, but because we have fulfilled our inner desires and don’t need more. Wareham cites the example of commission-based sales people who, after earning adequate commission to reach their financial comfort level, tend to be less aggressive in selling cars to customers for the rest of the month. Idea for Impact: “Psychic Contract” is a handy and thought provoking—if unsubstantiated—hypothesis to understand how your and other people’s deep-seated life goals are established. It can give you one more data point in trying to figure people out. Idea for Impact: Temper your expectations of others. Old habits die hard. Even Einstein’s doctor couldn’t get the great physicist to quit smoking despite his deteriorating health. 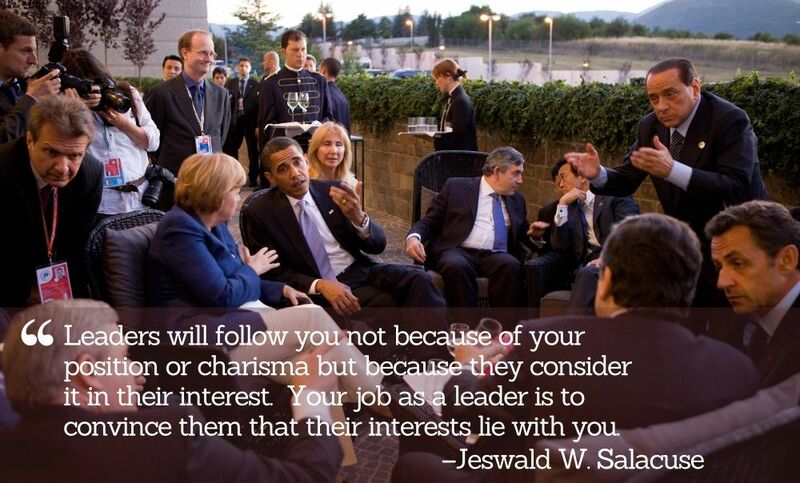 Be realistic about changing others’ hearts and minds. If you can learn to accept them for who they are and let go of your conceptions of their perfection, your relationships become more richer. Executive coach Dan Ciampa offers an excellent framework on the advice network you need on strategic, operational, political, and personal elements of your work and life.